Held on Valentine's Day, plus a few days before and after, Verona in Love helps the entire population fall head of heels for one another with romance gestures of all sorts put up across the city. Red heart lanterns and millions of love notes dot the streets, while free, romantically-themed concerts take place in the romantic Piazza Dei Signore Square. Held since the Middle Ages, Verona's version of carnival is an event which kicks off the year with lots of parties and activities. It all culminates on the Thursday before Lent with a famous parade where 4,000 participants all dressed in masked costumes walk through the streets together with their allegorical hand-made floats, brass bands and drum majorettes. Vinitaly is Italy’s most important annual wine fair and runs over five days. Hundreds of producers showcase the best regional wines amid wine-tasting sessions, industry meetings and seminars. The fair site is huge and is packed with tens of thousands of people throughout the five days. Over 18s only. Verona’s legendary opera season takes place in the spectacular Roman Arena and draws audiences in their thousands. Placido Domingo made his debut here and the annual opera season still draws a star-studded cast of performers. The two-month season sees around 50 performances. Book tickets and accommodation early. 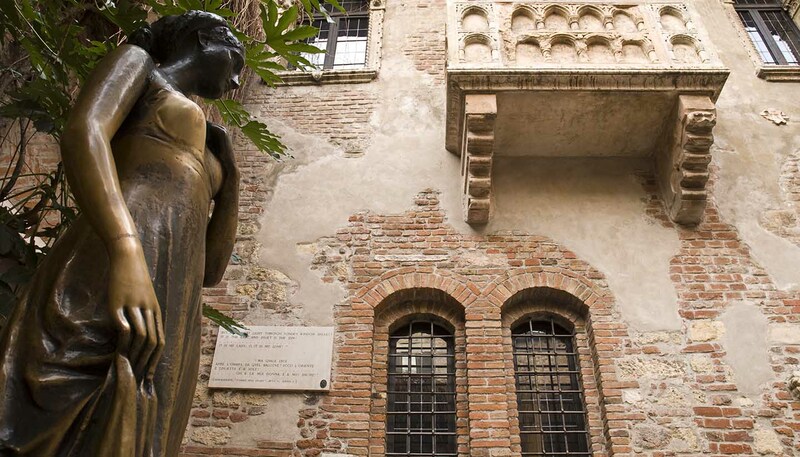 Verona’s Summer Theatre Season takes place in the city’s old Roman theatre. A world-class event, the festival includes three major dramatic works in July and three dance shows in August. Theatre performances focus on Shakespeare, while international dance troupes such as Momix and the Brazilian Balé Folclórico da Bahia from Brazil perform the dance repertoire. Tocatì, meaning ‘it’s your turn’ in Veronese dialect, is a street festival dedicated to preserving and reviving traditional games. Held in the historic centre, hundreds of competitors teach children (and adults) to spin tops, use a sling, clink marbles or compete in tip cat tournaments. Every year, a guest country is invited, giving the festival an international flavour. Musical concerts, exhibits and other cultural activities take place alongside the games. Verona’s annual Christmas crib exhibition takes place in the Verona Arena and features more than 400 cribs from all over the world. The exhibition is accompanied by music and light shows. The tradition stems from the crusades of the 13th century when travel to the Middle East was impossible due to the fighting. Instead, St Francis crafted the first crib demonstrating that it was possible to celebrate Christ’s birth anywhere in the world. Throughout Italy, the feast of St Lucy is an important prequel to Christmas. The saint’s name, Lucy, comes from the Latin root ‘lux’, which means light, so St Lucy’s day is celebrated on the 13th December to mark the end of winter solstice and the reappearance of the sun in the north. In Verona, a Christmas market is set up in Piazza Bra where vendors sell food, small toys and Christmas gifts.